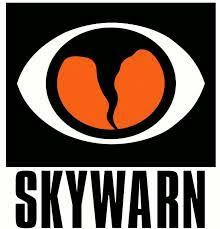 We are the Official SKYWARN Repeater for Johnson County, Indiana. Monthly Meetings... We meet at 8 am on the 3rd. Saturday of each month. You do not have to be a member to attend, all meetings are open to the public and visiting hams. Club meetings are held at the Johnson County REMC Office located at 750 International Dr, Franklin, IN 46131. Weekly VHF Net... 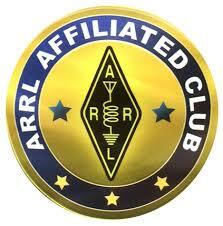 The Mid-State Amateur Radio Club's Net meets on Sunday nights at 7:00 pm. This is an open net and all licensed amateurs are invited and encouraged to participate. (See above for frequency info). The Amateur Radio Service (Ham Radio) is a federally licensed and administrated radio service. Anyone, regardless of age, gender or physical ability can get a license. After successfully passing your exam you will be given a call sign. Once licensed, Ham Radio Operators use their radio stations (including computers, antennas, satellites and other equipment) to make contacts around the world from our homes, cars, boats and planes. Ham radio is one of the most exciting, friendly, useful, educational and high-tech hobbies around. Hams include a diverse group of people around the world -- engineers, scientists, doctors, astronauts, students, teachers, boaters, pilots, retirees and famous celebrities. You never know who you're going to talk to "on-the-air" next. We have resources here on this website to help you study for and take the required exam. The following are some of the amazing things you can do with Ham Radio: Take a look - the adventure awaits!! Club members, you can pay your Annual Dues online with your PayPal account or using any credit card listed below. All amateur radio operators are welcome to use either WA9RDF repeater (146.835 or 443.525 - both w/151.4 PL). If you use one of our repeaters but are not a Club member, we invite you to make a donation to the repeater fund for the maintenance of this service. Thanks.